After countless solos and strumming sessions, the figures are in. 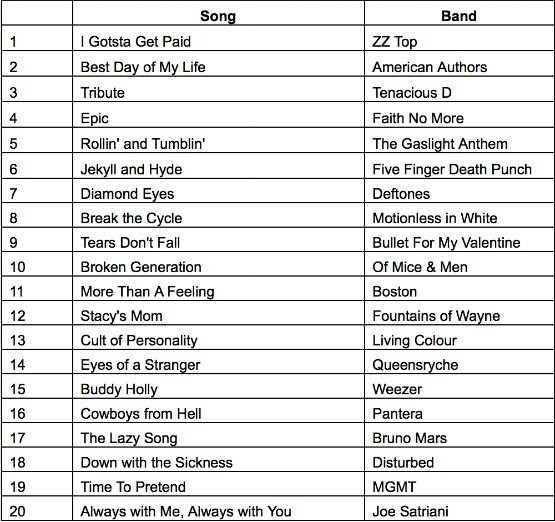 Developer FreeStyle Games has revealed the most popular songs played in Guitar Hero Live during the holidays. Featuring everything from ZZ Top to Bruno Mars, the chart accounts for songs played across GHTV’s channels, On Demand and through the in-game Premium Shows, from December 24 through until January 3.